A Slide in the House! I know I’ve posted about interior slides before, but I came across one today that is just too cool not to mention. The architect is named David Hotson, and the project is a residence in Manhattan. …Because of course it is. 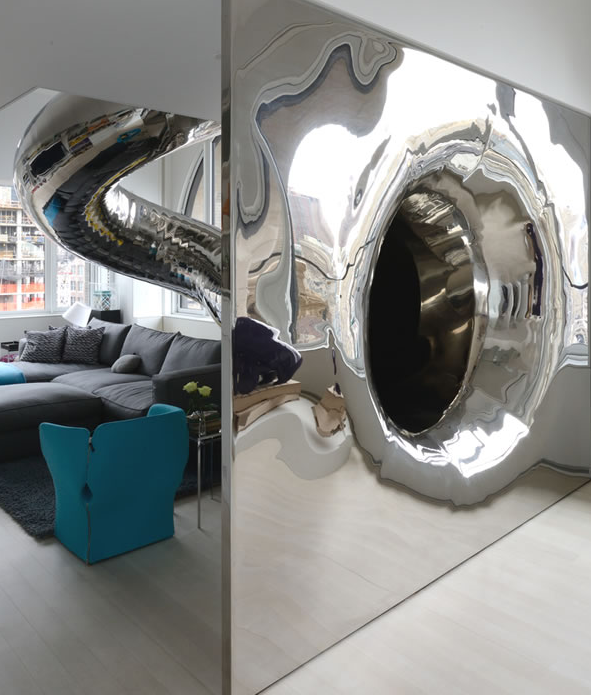 It ends just on the other side of the living room, so you can just hop out of this crazy chrome portal and stroll on over to catch the latest episode or Parks and Recreation. Or whatever it is that you watch.